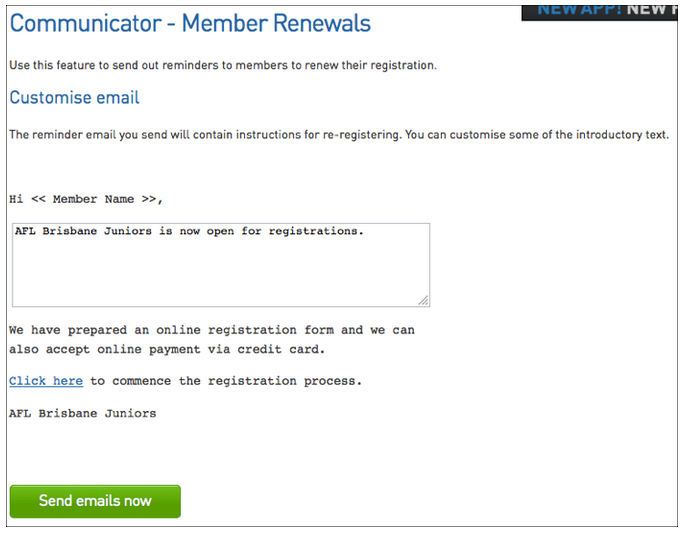 Communicator provides associations and clubs with the ability to send emails to members in their database with a reminder to register to the new season. 2. The Communicator options will open. 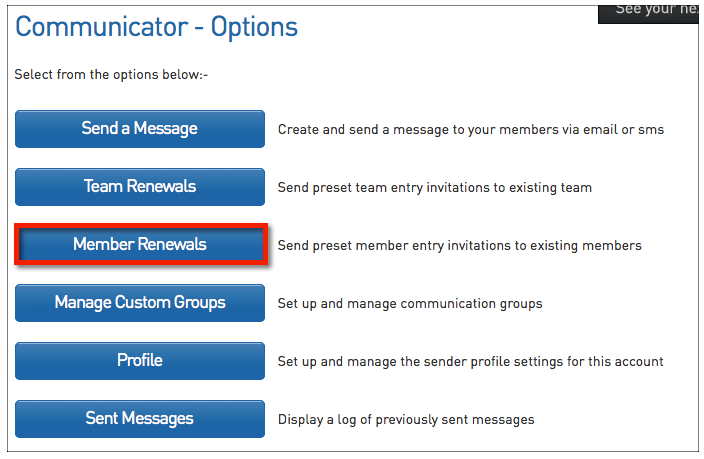 Click on Member Renewals. 3. Click on the drop-down list and select a past season. Registration renewal emails will be sent to members from this season. 4. If you wish to also send the email to members' parents, click on the Include Parents check box. Within each member's record is a 'Parent/Guardian Email' field (screen shot below). Checking the 'Include Parents' option will also send the email to the Parent/Guardian's email address. 6. The list of competitions from the selected season will appear. If you want to send the email to members that participated in all (or most) competitions from that season, click on Select All. 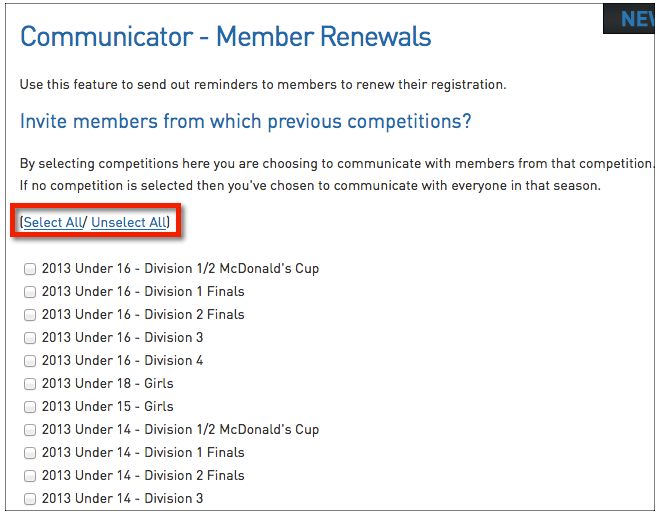 This will tick the check boxes for each competition, and you can click on any competitions that contains members that you do not want to send the message to (un-tick them). 7. Click on Choose Form. 8. Under 'Choose Registration Form', click on the drop-down list and select the registration form you want to send to each member.s. 9. Click on Customise Email. 10. The email message that will be sent to members will be shown. The member's name, your association's name and the link to the registration form are automatically included in the email. Most of this email cannot be modified, however you are able to customise the first paragraph. Click in the text box and type your message. 11. Click on Send emails now. 12. A message will appear confirming the number of emails that have been sent. Note: The link to the registration form ('Click here') can only to be used for single registrations, i.e. It will only allow one member to register at a time. If you provide members with the ability to process multiple registrations (i.e. price discounts for families), you will need to direct these members to a link or form on your website rather than through the Member Renewal email.